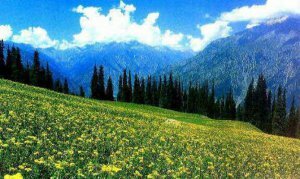 Pala Holidays offers Tour Packages for Kashmir at Cheap Price, The best Kashmir Tour Operators offers most exotic travel destinations in Kashmir Like Gulmarg, Pahalgam, Sonamarg and Srinagar, Kashmir tour packages are of different duration's and include tourism destinations like Srinagar, Gulmarg, Pahalgam and Sonmarag, Doodpathri in Kashmir and Katra and Patnitop if booked from Jammu, We at Pala Holidays Best Kashmir Tour Operators offer our clients best customized Kashmir Tour Plan Starting from Jammu, Katra, Patnitop or directly from Srinagar, We also offer package tours to Doodpathiri and Yousmag. if you are making plans to give your family and friends a holiday treat, then our Jammu and Kashmir tour packages are the best which they'll love and thses packages are the cheapest in industry. Kashmir is a region for romantic enthusiasts, honeymooners, friends, family and adventure enthusiasts. if you have not been to Kashmir before then then you are really missing something very special in your life in case you have decided to go for a Kashmir Holiday Packages Tour Pala Holidays Kashmir tour operator in India will provide you best Kashmir trip and holidays packages. 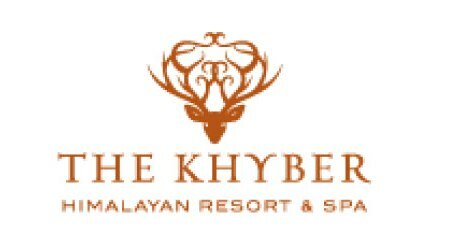 We have got Great offers on to fit your price range and budget and provide you with an wonderful experience of lifetime. 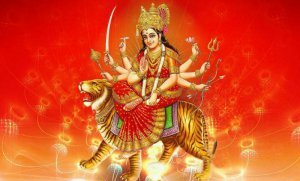 we've budget tour packages for Kashmir from Delhi, Mumbai Bangalore, West Bengal, Gujarat and other states and cities of India and from abroad as well. 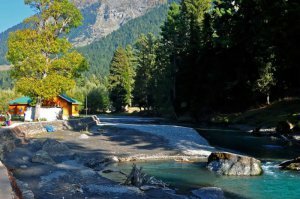 Pala Holidays Best Kashmir Tour Operator site offers you a number of Kashmir holiday packages to pick out from that include package tours, adventure tours, yatra tours offering you to choose your dream holiday in just few clicks and nailing down your ride sitting within the comfort of your home. Our well-skilled travel experts will help you with every tour detail and provide you best Srinagar Kashmir Tour Packages or Ladakh holiday packages according to your satisfaction to make your Kashmir Tour a memorable trip. Based at Srinagar, Kashmir, India, Pala Holidays (Tour Operator in Kashmir) is a leading Tour and Tarvel company in Kashmir Tourism Industry, which provides Tour packages for Kashmir, Cheap Srinagar Tour Package, Ladakh Holiday Packages, Where you can Visit Nubra Velley, Drass, Kargil and Zanskar with other tours in state of Jammu and Kashmir including Houseboat stay in Dal Lake. We are reviewed by our esteemed guests as best Kashmir touism comapnay & tour operator in Kashmir on Google (Check out our google reviews). 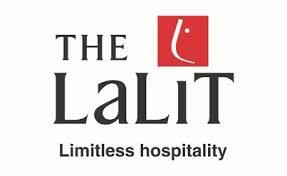 We have a team of highly qualified professionals with vast experience in hospitality and travel industry. The team believes in creating a network with a strong public relation, right commitments and timely deliveries. Company offers customized private individual tours to fully-guided special group tours, Pala Holidays specializes in satisfying your discriminating taste for the ultimate travel experience. Best Time to Visit Kashmir? Set like a jeweled crown on the map of India, Kashmir is a multi-faceted diamond, changing its hues with the seasons – always extravagantly beautiful. Two major Himalayan ranges, the Great Himalayan Range and the Pir Panjal, surround the landscape from the north and south respectively. Here they laid, with great love and care, Srinagar’s many formal, waterfront gardens, now collectively known as the Mughal Gardens. Anecdotes of four and five centuries ago describe their love for these gardens, and the rivalries that centered around their ownership. They also patronized the development of art & craft among the people of Kashmir, leaving behind a heritage of exquisite artisan-ship among these people and making the handicrafts of the land prized gifts all over the world. Kashmir is a land where myriad holiday ideas are realized. In winter, when snow carpets the mountains, there is skiing, tobogganing, sledge-riding, etc. along the gentle slopes. In spring and summer, the honey-dewed orchards, rippling lakes and blue skies beckon every soul to sample the many delights the mountains and valleys have to offer. Golfing at 2,700 m above the sea, water-skiing in the lakes and angling for prized rainbow trout, or simply drifting down the willow fringed alleys of lakes in shikaras and living in gorgeous houseboats are some of the most favored ones. Jammu and Kashmir, India’s one of the most picturesque state lies on the peaks of Himalayan Ranges with varying topography and culture. Jammu was the stronghold of Hindu Dogra kings and abounds with popular temples and secluded forest retreats. Kashmir’s capital city, Srinagar offers delightful holidays on the lakes with their shikaras and houseboats. 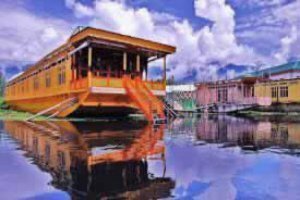 some os he best Srinagar Tour Packages are listed here. Kashmir,the upper most alpine region of North India’s the ethereal cold desert that goes by names such as “The Last Shangrila”, Moonscape, Little Tibet and so on. Ladakh is an endearing abode of scenic charisma and diverse adventure activities like rafting, jeep safari, water sports and much more. Nestling in the lap of the dazzling, snow-capped Himalayas, the Kashmir valley is undoubtedly a jewel in India’s crown. An inspiration for so much art, music and poetry, Kashmir is also honeymooners paradise, a nature lover’s wonderland and a shopper’s dream come true. Over the years, Kashmir tourism has come a long way, to love and look after its tourists, fulfilling their every whim. Tourists are everywhere, soaking up all that Kashmir has to offer – the walks, the pony treks, the shikara rides at sunset on the Dal lake… and once you have visited Kashmir,, you will agree that what began as a dream, lives on as an unforgettable experience. 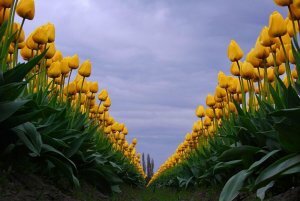 Spring, which extends roughly from March to early May, is when a million blossoms carpet the ground. The weather during this time can be gloriously pleasant at 23 degree Centigrade or chilly and windy at 6 degree Centigrade. This is the season when Srinagar experiences rains, but the showers are brief. Summer extends from May until the end of August. Light woolens may be required to wear out of Srinagar. In higher altitudes night temperatures drop slightly. Srinagar at this time experiences day temperatures of between 25oC and 35oC. At this time, the whole valley is a mosaic of varying shades of green – rice fields, meadows, trees, etc. and Srinagar with its lakes and waterways is a heaven after the scorching heat of the Indian plains. 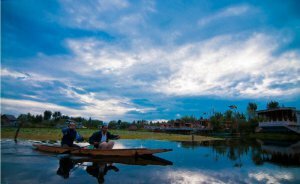 Srinagar is located in the heart of the Kashmir valley at an altitude of 1,730 m above sea level, spread on both sides of the river Jhelum. 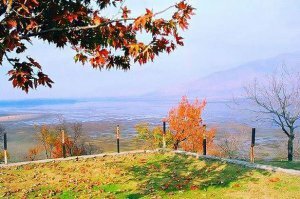 The Dal and Nagin lakes enhance its picturesque setting, while the changing play of the seasons and the salubrious climate ensures that the city is equally attractive to visitors around the year. Kalhana, the author of ‘Rajtarangini’, states that Srinagri was founded by Emperor Ashoka (3rd Century BC). The present city of Srinagar was founded by Pravarasena-II, and Hiuen Tsang, who visited Kashmir in 631 AD, found it at the same site as it is today. Laltaditya Muktapida was the most illustrious ruler of Kashmir in the Hindu period, which ended in 1339 AD. King Zain-ul-Abidin (1420-70 AD), popularly known as ‘Budshah’, was a great patron of Sanskrit. Akbar captured Kashmir valley for the Mughals, who endowed Srinagar with beautiful mosques and gardens. The Sikhs overthrew the last Muslim ruler in the reign of Maharaja Ranjit Singh in 1819. In 1846 the Dogras secured the sovereignty of Kashmir from the British under the Treaty of Amritsar, and in 1947 the state of Jammu and Kashmir with Srinagar as its capital, became part of the Indian Union. Known for its unparalleled alpine beauty and breathtaking valleys, Kashmir is visited by honeymooners, holidaymakers and adventure seekers from all across the globe and country. Travellers planning a trip to Kashmir often wonder how to reach Kashmir; however, the beautiful valley is well linked with the rest of the country via air, road and train. Those who prefer to travel by airplanes can reserve their tickets up to Srinagar Airport, which is about 15 km away from the city centre. Travelers who wish to travel by train can book their tickets till Jammu Tawi railway station which is the nearest rail head. Moreover, J&K State Road Transport Corporation (JKSRTC) and several private buses operate on a regular basis from neighboring cities for Srinagar and other major cities of Kashmir. To fly into Kashmir, take the Srinagar Airport (15 km away), which is well connected to prime Indian cities. Air India, GoAir, IndiGo and Jet Airways operate regular flights for Delhi, Goa, Jammu, Leh Mumbai and Bangalore. After reaching the airport, visitors can hire taxis to reach various cities and towns of Kashmir. The state of Kashmir is well connected by a network of state and private buses with several nearby cities and towns. National Highway 1-A connects Srinagar with Jammu. Also, the popular Jawahar Tunnel connecting Jammu with the valley of Kashmir also falls on the way. A number of J&K State Road Transport Corporation (JKSRTC), luxury and private deluxe buses ply frequently to and from state. These buses are extremely comfy and cost-effective. The rail link between Srinagar and Jammu is under construction however one can reach up to Udhampur by train from there onward one can travel by road up-to Banihal from there one can board train for Srinagar, Srinagar railway station is located at Nowgam Baypass . Jammu & Kashmir State Road Transport Corporation (J&KSRTC) operates special coach services between the airport and the city. Super deluxe, A-class, B-class busses are operated by J&K SRTC as well as other transport agencies. These take approx. 11 hours to cover the journey and the cost per seat in J&K SRTC bus is From Rs 200/- to Rs. 450/ From Jammu to Srinagar. From Delhi an express coach service is available, which takes 26 hours to reach Srinagar at the cost per seat of Rs.1400/-. 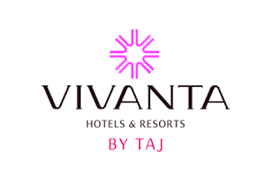 For booking contact J&K SRTC Office, Kanishka Shopping Plaza, Ashok Road, New Delhi. It is also possible to travel by taxi from Jammu to Srinagar in about 8 hours. The cost varries depneding on the flow of tourists and travellers between Jammu and Srinagar and is between Rs.700/ to Rs. 1400/ per seat. The other commonly used transport service is Mini-Bus it is mostly used by daily commuters in cities and towns and has a minimum fair of Rs.6/ to Rs.12 per seat.